An oasis of calm in a green and shady garden, away from the hustle and bustle of central Luxor. The Amon Hotel is a peaceful haven amongst the hustle and bustle of modern Egyptian life. With a wonderful tropical garden and a peaceful and relaxing environment, this hotel is truly unique. Premier Hotels and Spa are located in the new resort of Sahl Hasheesh. This is, without doubt, one of the most beautiful bays in the Red Sea and just 20 km from Hurghada airport. Pyraimds Park Resort is located amidst the historical attaractions and free from crowds of centeral Cairo and only few minutes away from Giza Pyramids and Sphinx. 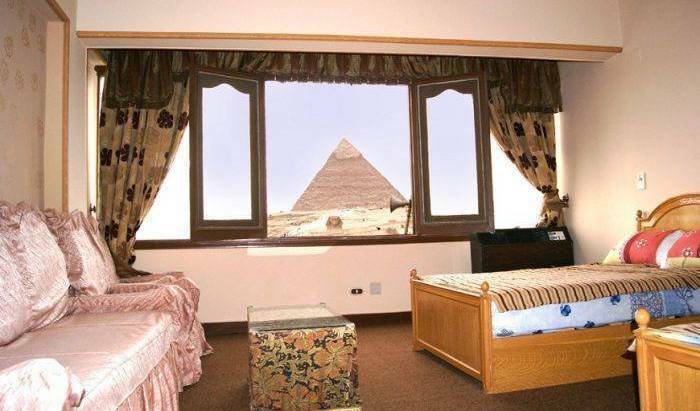 Tiba Pyramids Hotel provides luxury, 4-star accommodation with views of the Great Pyramids of Giza. All air-conditioned rooms feature private balconies and include satellite TV. It is a small and luxurious cruise boat with comfort offering a spectacular opportunity for an extended family or small groups to discover Egypt on a private cruise. There are 14 luxury cabins, 18 m², well furnished up to the 5 stars deluxe. The first guesthouse in Aswan on the Westbank. Top location near the Nile river, the desert and the Nubian villages; beautiful view. Private chef services healthy meals. Nubian Nile house Chez Aisha as located in a rural area right at the Nile river. 2 double rooms each with private entrance and both ensuite bathroom. Breakfast at guesthouse Bet el Kerem (2 min. walking) incl. We are a small and local hotel with high standards of service and cleanliness that's conveniently located in the heart of Cairo's central Tahrir Square. New eco-friendly hotel in the heart of the Bahariya Oasis for relaxing and rejuvenating stay and most authentic desert experiences. Spectacular views, spacious rooms outfitted with modern furniture, food cooked to order using local organic ingredients. 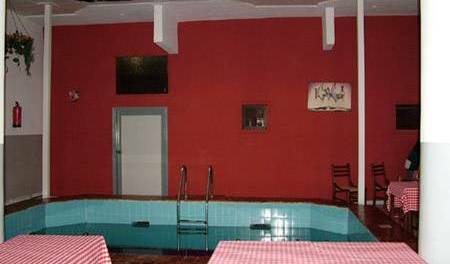 Lialy Hostel is a Western style hostel located in the heart of downtown Cairo. We offer clean and comfortable rooms for the budget traveller. We offer a free pick up from the airport : 3 nights or more for the single room, 2 night or more for the double room, 2 night or more the triple room, Located in the Heart of Cairo, Clean rooms and friendly Staff. The hotel is located in the heart of the city, midway between the Egyptian Museum and the Ramses Station. "Wake Up! Cairo Hostel is the Best Hostel in Cairo, Egypt, and perhaps the best in Africa!" 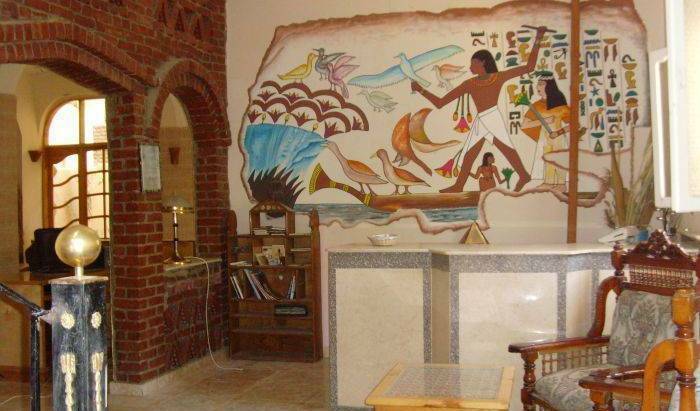 Newly opened in February 2008, this high quality and well located hostel is open ready for business Nubian Hostel Cheap hostel & guesthouse in Egypt Cairo for Students Family Backpackers and All Budget! Downtown Cairo Hostel (5 min from The Egyptian Museum) Safe! Clean! Friendly! Fun! CHEAP BUDGET BACKPACKER HOSTEL HOTEL HOSTELS HOTELS IN EGYPT CAIRO The Rotana hostel established in the end 2006 it's very nice place for students, Backpackers and tourist groups located in talaat Harb street centre of downtown Cairo. Blue Bird Hotel Cairo on top of an antique building situated in Downtown in the heart of Cairo. Just 400 meters from the famous Talat Harb Square and only 5 minutes away from the historical Egyptian museum and major metro and train stations. Invitation hotel offers luxury at a budget price with unlimited fun!! We welcome all travellers backpackers, couples, families and guests that are travelling alone! New hotel very good located in dowtown Cairo. Comfortable rooms and friendly staff. Cosy hostel, for a nice time in Cairo, with good price. Star Plaza is a 2 stars budget, modern, designer hotel located in the center of one of the hippest neighborhoods of Cairo ( Dokki ). Warm, Clean, New And Affordable, Milano Hostel Is An Excellent Place To Stay At While In Our Great Cairo. Pyramids Inn welcomes travelers situated right next to The Great Pyramids (Only 10 minutes by walk) and The Grand Egyptian Museum(The largest in the world). Berlin Hotel is a small, simple hotel in Cairo downtown We are currently expanding too Rooms has private shower cubicles with hot water available 24/7, rooms has also air conditions and beds are so comfortable. Our accommodation options include deluxe twin or double en-suited rooms, single or triple private rooms and dormitory rooms. All come with fresh white linen, a balcony, air-conditioning and a modern security system. Cairo center hotel is a new boutique hotel, located downtown cairo, in 1921 french style building. in front of the jewish temple, sharia Addly is one of the most important streets which never sleeps, providing the most incredible selection of shops. 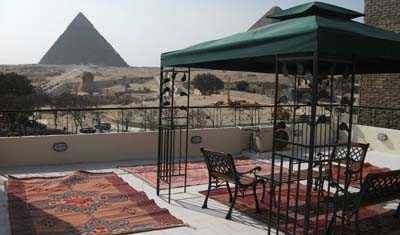 Pyramids view hotel stands for its name as the hotel overlooks the Giza plateau with one of the best view on the great pyramids. Sheikh Salem House is a small guest house in Dahab. 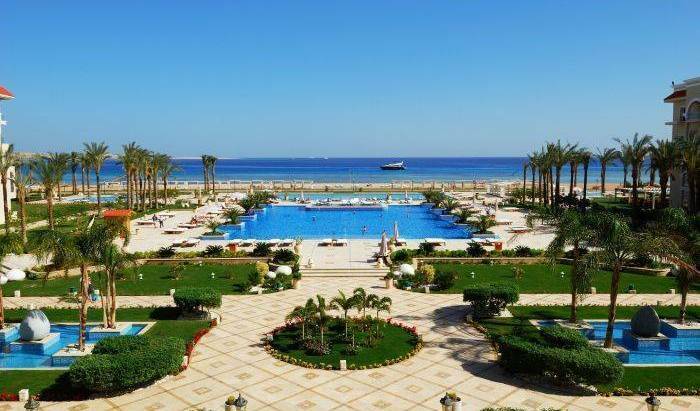 Set in a magnificent location on the Red Sea with accommodation to suit all budgets. Dahab Bay Hotel is located at the beginning of Blue Hole Road, 5 minutes from the center of Dahab. The hotel features a homely atmosphere, comfortable rooms, a stunning view of the Gulf of Aqaba and a private sandy beach. Situated just 50 meters from the Red Sea beach, the whitewashed Star of Dahab offers air-conditioned rooms with a balcony and free WI-Fi. Charming Italian managed hotel located directly on the beach in a very quiet location but not far from the center. Rooms with individual air conditioning and sea view, cosy and spotlessly clean. Nice, familiar, small hotel located on the corner of a penisula, 30 m from the beach, with high quality furnitures, service. 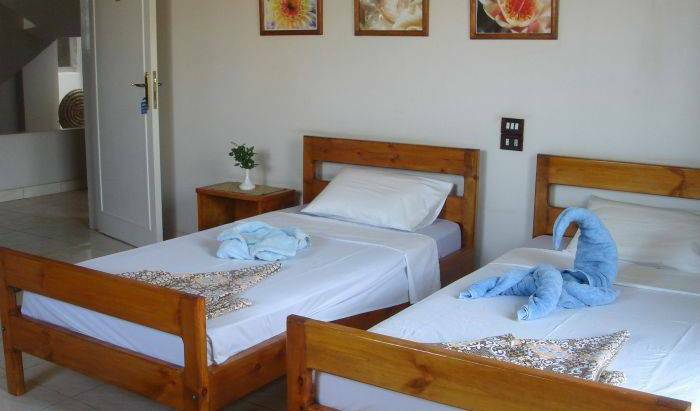 Coral Coast Hotel accommodates 30 en suite rooms with all necessary facilities, providing guests with a comfortable and authentic lodging. Live, Love and Laugh at Dahab Paradise! Bishbishi, your home away from home!Small and cozy, Bishbishi is located in Mashraba, the southern part of Dahab. Set amongst the shade of palm trees, Bishbishi's atmosphere is quiet and peaceful. A little jewel amongst budget hotels in Dahab, Sphinx is situated directly on the water front. Rooms are comfy and clean and the Funny Mummy Restaurant has the best food in town! 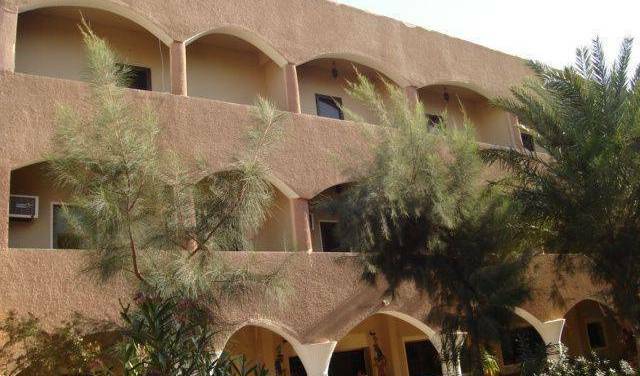 This hotel is located on the outskirts of Dahab some 2km from the restaurants, bars and shops of the resort at Masbat bay and 7km from the Blue Hole dive site, directly by the sea and is an excellent choice for having a relaxing holiday. Octopus Garden Resort and Deep Blue Divers in the heart of Dahab on the Sinai Peninsula. As the first boutique hotel in South Sinai, Alf Leila offers you stylish accommodation and a rich variety of facilities and adventurous activities. With the hotel as an ideal bases of Sinai. Enjoy Your Stay At Queens Valley, the new modern hotel located in a superb location nearby Nile river & Luxor temple. A friendly hotel situated in the centre of Luxor. 64 rooms over 4 floors each with private bathroom, air conditioning and balcony. We are a small, friendly family run hotel in a quiet street in the centre of Luxor close to the main shopping area and historical sites. the New Radwan Hotel 3 super star hotel in Luxor. popular from the backpackers, Princess hotel is simple, inexpensive and clean. Friendly staff will give you warm welcome. 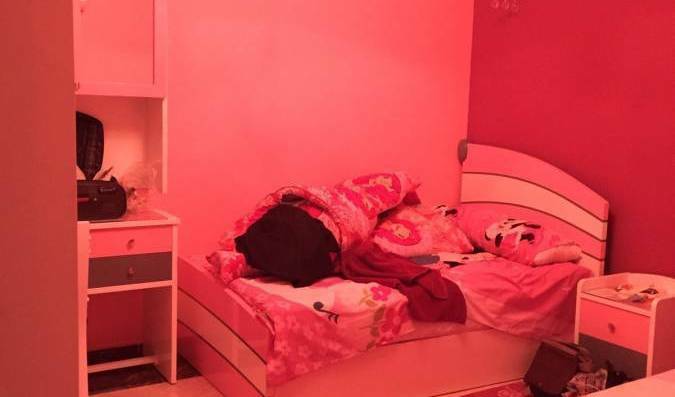 Situated on the west bank river Nile , we offering a hight standard of acommodation, clean and cheap rooms ensuite. only 1km from colosos of Menmon. Roof garden restaurant. Free transfer. We arrange interesting tours and safaris. 3stars Hotel situated on its own private sandy beach, Offering 50 luxurious rooms with all facilities, 3 Restaurants & Beach Bar, and French Style Swimming Pool with Jacuzzi. Scenic Views to Sinai & Saudi Arabia Majestic Mountain. leave your worries at the door. Take it easy and enjoy peace of mind. Let us care for you - you will enjoy the tranquility and beauty of nature and sea. Location, location, location! Comfortable one bedroom apartments in a lovely, quiet and peaceful resort in the heart of Naama Bay. 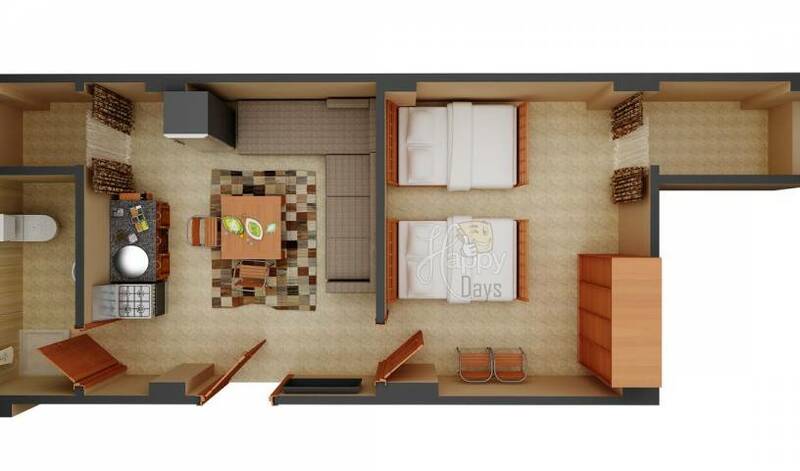 The apartments are fully furnished and air conditioned. The resort has 4 swimming pools and beautiful landscaped gardens.